Trying to understand American health care these days is a little like trying to do the breast stroke through molasses. A lot of effort for not much progress. The scope of the issue is vast. In 2017, US health care spending grew 4.6%, exactly double the growth rate of inflation, to $3.5 trillion. In 2018, it grew another 4.4% to $3.65 trillion. That’s 18% of US Gross Domestic Product (GDP). To put this in perspective, consider this: $3.65 trillion is more than the entire GDP economies of Italy and Spain – combined! It is $1 trillion more than the entire GDP of France and equals that of Germany’s $3.6 trillion GDP. Each of the health care players say they want to do something about this, just as long as you don’t touch their particular slice of the pie. And, because the health care lobby dwarfs every other one, we’re reduced to nibbling around the edges. U.S. public spending as a percentage of GDP (5.8 percent) is virtually identical to public spending in the United Kingdom, Italy, and Japan (5.9 percent each) and not much smaller than in Canada (6.5 percent). The paper also compares pharmaceutical spending, health system capacity, and use of medical services. The data show that the United States spends more on health care than any other country. However, on most measures of health services use, the United States is below the OECD median. These facts suggest that the difference in spending is caused mostly by higher prices for health care goods and services (my emphasis) in the United States. The conclusion that prices are the primary reason why the US spends more on health care than any other country remains valid, despite health policy reforms and health systems restructuring that have occurred in the US and other industrialized countries since the 2003 article’s publication. On key measures of health care resources per capita (hospital beds, physicians, and nurses), the US still provides significantly fewer resources compared to the OECD median country. Since the US is not consuming greater resources than other countries, the most logical factor is the higher prices paid in the US. Because the differential between what the public and private sectors pay for medical services has grown significantly in the past fifteen years, US policy makers should focus on prices in the private sector. 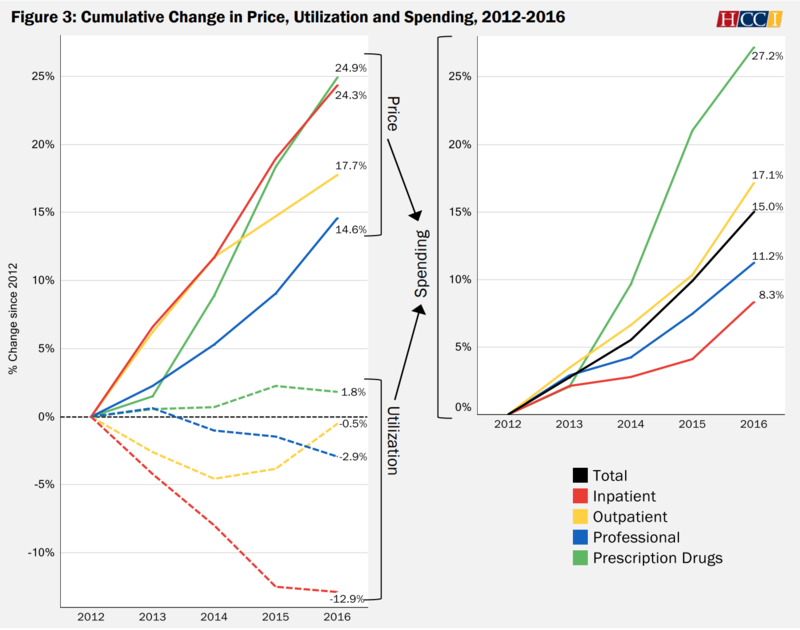 Another way to look at this is to compare the growth of health care utilization with the growth of prices. This produces some highly informative, surprising and, sometimes confounding, data. For example, from 2012 through 2016, US hospital in-patient prices rose 24.3%, yet in-patient utilization decreased 12.9%. I guess all that hospital consolidation has really lowered hospital prices, hasn’t it? During that period, and due primarily to the opioid epidemic, prescription drug utilization was the only medical service whose utilization rose, and it was up only 1.9%, despite the prices of prescription drugs rising 24.9%. Question: Who has the most skin in this game? Answer: Employers and the 156,199,800 people who work for them. That answer is why I believe Warren Buffet, Jamie Diamond and Jeff Bezos, three major employers, have formed their joint health plan, Haven, and hired Atul Gawande to run it. They have given Dr. Gawande time and a lot of money not just to slow the spending growth in their respective companies, but to reverse it. Buffet has spoken loudly about how health care costs place America at a competitive disadvantage. He has been vocal in his criticism of Republicans’ devotion to reducing corporate taxes, which, at 1.9% of GDP, are now the lowest among advanced nations and pale to near insignificance when compared to the health care costs borne by employers. He has said, “Medical costs are the tapeworm of American economic competitiveness.” Further, they are a major cause for little or no real wage growth. More proof for his point: According to the US Census Bureau, employer sponsored insurance plans (ESIs) cover 56% of the US population. In 2018, the year we hit $3.65 trillion, the average annual premium for a family in an ESI was $19,616, of which employees paid an average of 29%, or $5,688. 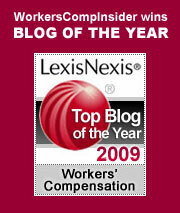 Employees in family plans also had an average deductible of $2,788, plus co-pays. So, even without the co-pays, employees are paying more than $8,000 for an ESI family plan. In 2019, we will blow through $20,000 for the cost of an ESI family plan. This is patently unsustainable and leads to two inescapable conclusions: First, Washington has not fixed this, and, given past experience, it is doubtful it ever will, regardless of efforts by progressives. Second, employers are the only people with the leverage and urgent incentive to do anything constructive. They need to stop worrying about corporate taxes, get on the Buffet, Bezos and Diamond bus, and throw all the muscle they have at the American health care fiasco. This entry was posted on Thursday, March 21st, 2019 at 5:21 pm	and is filed under health care, Research. You can follow any responses to this entry through the RSS 2.0 feed. Both comments and pings are currently closed.